NYC’s annual multi-venue Winter Jazzfest happens from January 5-10 at Le Poisson Rouge, The New School, SOB’s, Subculture, The Bitter End, Zinc Bar, The Django at Roxy Hotel, Bowery Ballroom, Nublu, and The Bowery Electric. 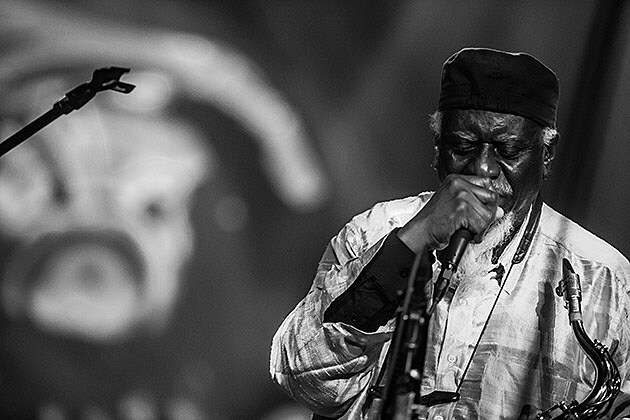 It begins with a show by the legendary Pharoah Sanders with Shabaka & the Ancestors at LPR on 1/5, followed by a two-day marathon at various Greenwich Village venues (1/6 & 1/7), a Thelonius Monk 100th Birthday round robin on 1/8, a Sam Amidon show at LPR on 1/9, and a TBA show on 1/10. Other artists booked for the fest include Ben Goldberg’s Invisible Guy, Bill Frisell / Thomas Morgan Duo, Donny McCaslin, Dave Douglas High Risk with Shigeto, Kneebody, Marc Ribot & The Young Philadelphians, Ravi Coltrane / David Virelles Duo, Tigue, and still plenty more. Tickets are on sale now. Full lineup (as it currently stands) below. 13th edition of NYC Winter Jazzfest Marathon featuring over 150 groups performing over two days at multiple different venues around Greenwich Village. Check winterjazzfest.com for the full lineup, schedule updates, and more details.